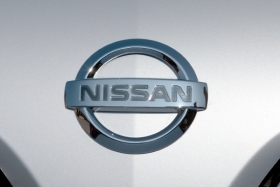 BEIJING (Bloomberg) -- Nissan Motor Co., the biggest Japanese automaker in China, confirmed media reports that it will invest 5 billion yuan ($784 million) to build a new assembly plant in the northeastern city of Dalian. The factory in Liaoning province will produce up to 150,000 cars a year when it starts production in 2014, and output may be expanded to 300,000 units in the future, Nissan's China venture said in a statement today. The plant will be its sixth manufacturing site in the country. Initial reports about the plant began surfacing on June 14, but Nissan declined to confirm them until today. "Nissan's focus has been in the southern part of China and it needs to expand to the northeast to accommodate its growth," Nissan Executive Vice President Hiroto Saikawa told reporters at an event in Dalian. "The new plant is very important to Nissan's development in China." Nissan CEO Carlos Ghosn is increasing production capacity in China, the automaker's largest market, to meet an expected tripling in vehicle ownership in the world's most populous nation. The automaker plans to introduce about 30 models in China by 2015 and to double its sales to more than 2.3 million units. Nissan sold 425,000 vehicles in the country this year as of June 21, 20 percent more than a year earlier, according to the statement. The company's sales in China rose 22 percent last year to nearly 1.3 million cars. Nissan says its passenger-car production capacity in China will reach 1.5 million units by 2015, up from 1 million units this year. The carmaker has five assembly plants in the cities of Xiangyang, Huadu and Zhengzhou. Last month, Nissan set up the headquarters for its Infiniti luxury brand in Hong Kong to boost China sales. The automaker, which introduced the luxury brand to China in 2007, plans to increase sales in the country by 50 percent this year.